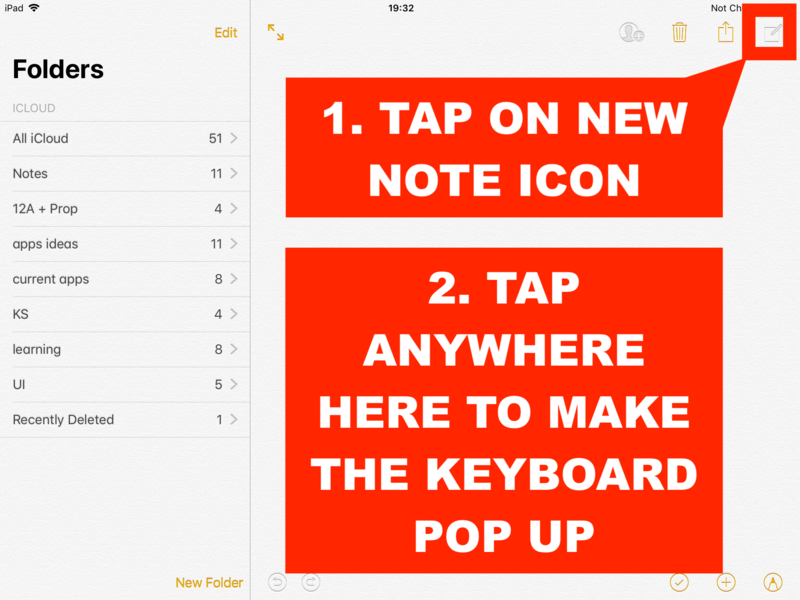 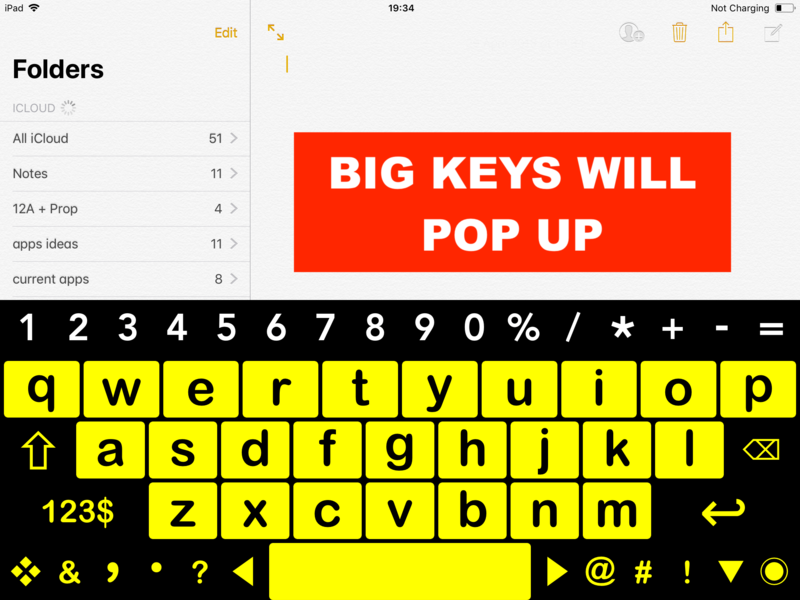 Big Keys App - How to change Keyboards. 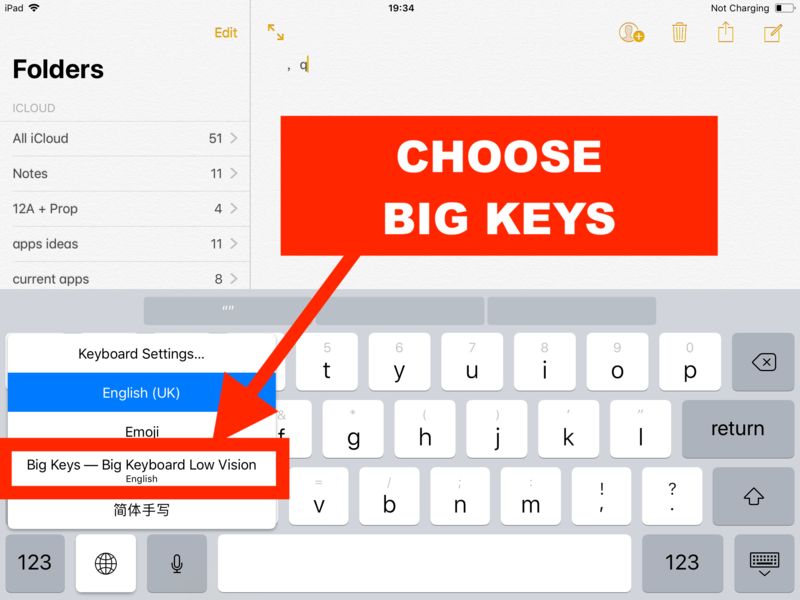 Once you have installed Big Keys, here is how to switch from the Default Keyboard to Big Keys. 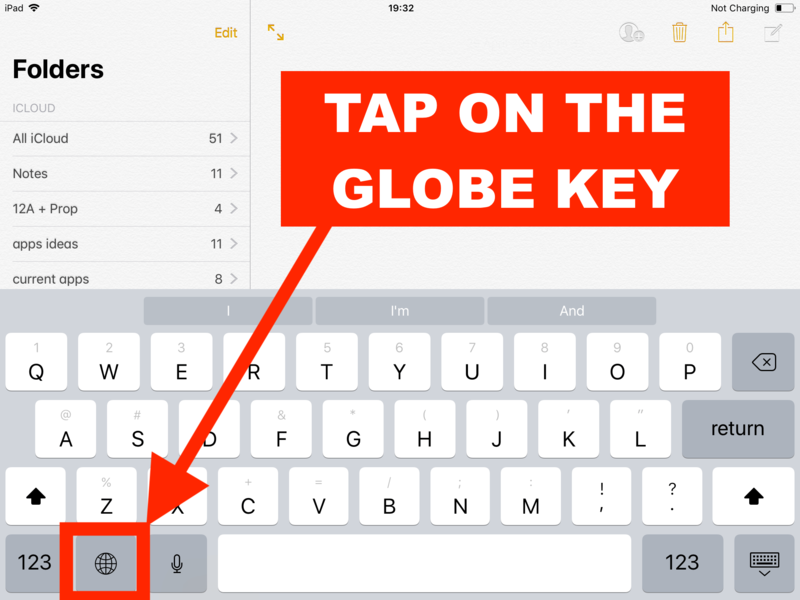 Step 3: If you do not see a globe in the default keyboard, this means that big keys is not installed. 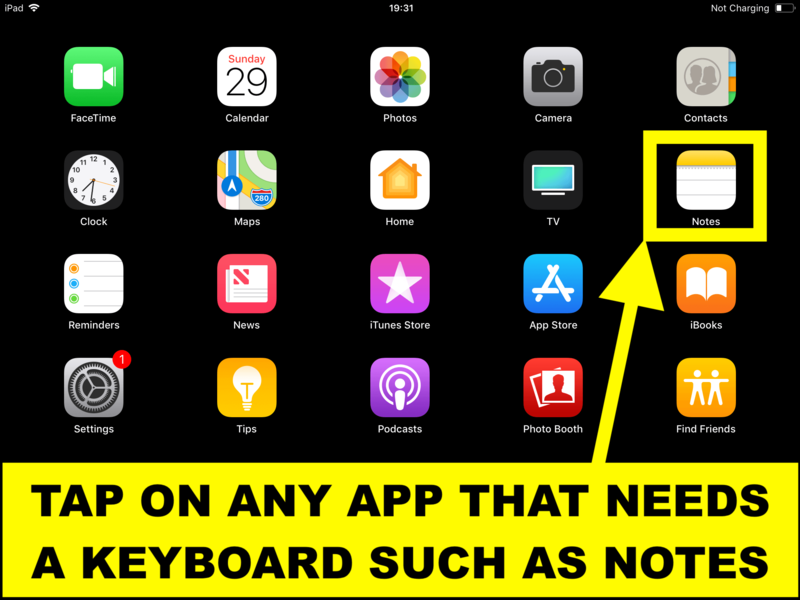 The globe only appears if you have installed an alternative keyboard to switch to.